Lisdoonvarna is Irelands only Spa town. It lies on the southern edge of the Burren and became a popular health resort in the early nineteenth century thanks largely to its famous spa wells. The Spa’s therapeutic mineral waters contain magnesia, iodine and iron. It is famous also for its September festival – one of Europe’s largest singles matchmaking festivals. 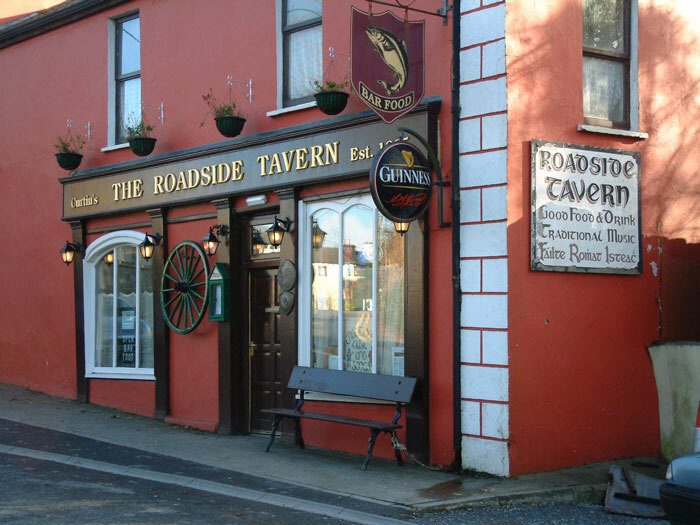 It is an excellent base for exploring the Burren and sampling the famous music and craic of North Clare. 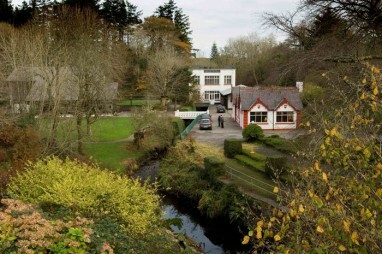 It is also home to the Burren Smokehouse as well as numerous hotels and pubs. Trailheads: The cycleway starts and ends in Lisdoonvarna. Services: Lisdoonvarna, Kilfenora and Ballyvaughan. Terrain: Hilly, low gears recommended. Experience the Burren countryside at its best. Map available in 'Other Information'. The Spa Wells is a Geosite. Get a tasting of our smoked salmon and watch a DVD presentation about the smoking process (free of charge). We are passionate about our local and Irish foods that you can buy in our gourmet shop. The award-winning food menu is filled with delicious dishes such as traditional Irish bacon & cabbage and a traditional rendition of Irish stew as well as Colcannon with either sausages or Burren hot smoked salmon. Food served every day Mid March to late October from 12pm to 4pm and 6pm to 9pm. Open April to October from 6.30pm with last orders for food at 8.30pm. The Special Value Early bird Menu is served from 6.30pm to 7.15pm. Serving locally sourced free-range and organic food. Michelin Bib Gourmand award for good food at moderate prices. Open all year (Thurs-Sun only during winter). Welcome to Ballinsheen House nestled in lush landscaped gardens.Countryside peace and tranquility yet only 5 minutes walk from town centre. Friendly atmosphere, delicious fresh breakfasts, home baking, stylish bedrooms. Ballinsheen House 4 star guest accommodation is located in the pretty village of Lisdoonvarna on the edge of the Burren and only 10 minutes drive from Discovery Point 9 – The Cliffs of Moher on the Wild Atlantic Way. We are ideally situated to explore The Burren National Park, The Cliffs of Moher and the Aran Islands. Architect designed and set in its own beautiful landscaped gardens with several patio/deck areas to sit and enjoy the lovely scenery with ample parking. Ballinsheen House is situated in an elevated position, giving charming views across the countryside and yet only 5 minutes walk into the town centre. All our rooms are cosy, comfortable with stylish furnishings and original artwork. Double King and family rooms ensuite have complimentary Tea/Coffee & mineral water, hairdryers, flat-screen TV’s, radio-alarm clocks, luggage racks, toiletries in the bathrooms all with lovely garden views. The Guest lounges have open fires, books, music system, magazines, games, corkscrew and wine glasses. Breakfast is served from 8.00am until 10.00am in the Dining room and Conservatory with stunning garden views, so you can linger and have a gloriously lazy start to the day. We are recommended by Rick Steves, Michelin Verde, Rough Guide, Guide du Routard, Trotters and Goa Guide Gallimard. 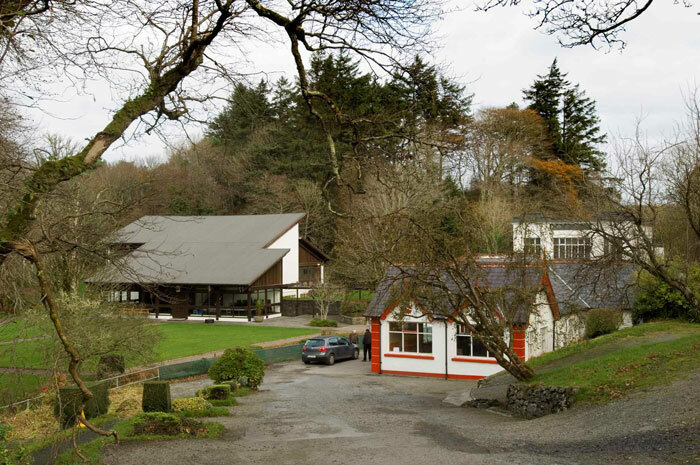 Ballinsheen House specialises in good food, warm hospitality and friendly service with an Irish Family welcome. An A La Carte Dinner menu is offered in our Restaurant where the ambiance is friendly and informal. A menu is also offered in our Bar, where you can relax by an open turf fire. Both Restaurant and Bar are open from 6.30pm with last orders for food at 8.45pm. The Special Value Early bird Menu is served from 6.30pm to 7.15pm. Stylish accommodation with award winning restaurant. En-suite bedrooms. Wi-fi available in the Hotel. The Roadside Tavern which was established in 1865 as a pub, then was expanded into a bakery, now also harbours a micro-brewery under its roof. Meet the Master Brewer, Peter Curtin, and delve a little deeper into the history of the brewery and the brewing process itself. A range of our own smoked organic salmon, smoked mackerel, trout using fish caught or grown in Ireland. Delicacies like jams, chocolates, biscuits, fruit wine from County Clare, mead, seaweed products, seasoning's, honeys and other gift items.